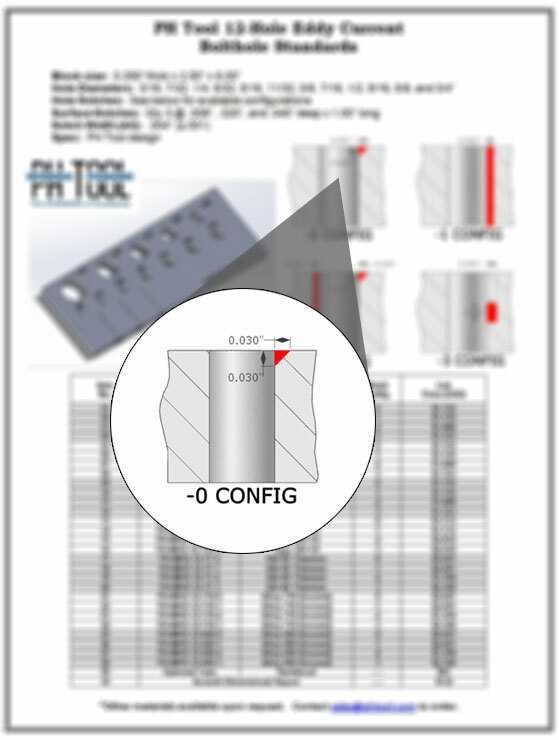 All PH Tool Reference Standards can be manufactured in a variety of alloys and shipped to you fast. We’ve created a chart of one of our most popular products – the 12-Hole Eddy Current Bolthole Standard – to show the various alloys and notch configurations you can choose. These particular reference standards are used for Eddy Current Rotary Bolthole Inspection and serve as a cost-effective alternative to more complex government bolthole standard designs, such as the Air Force and Navy Eddy Current Standards, making them perfect for nearly any industry.